K4, 61994, ‘The Great Marquis’ Loch Eilt. 66746 Heads ‘The Royal Scotsman’ North, near Pulpit Rock, South of Ardlui. Class47, 47826 Heads a ‘Statesman Tour’ through the Monessie Gorge. 18. Glen Lochy on Oban Line in November. 20 K4 passes Loch Eilt, west of Glenfinnan in late October. AuchGlen_Class 156 Glasgow/Fort William/Mallaig service, 14th December 2002. Deltic Royal Scot, Fort William. Deltic in charge of ‘Royal Scot’ train, Fort William. Late evening North of Rannoch Station, 16.05 ex Mallaig to Glasgow Queen Street Service. The West Highland Lines are world class railways making a major contribution to accessibility for residents, tourists and freight in this uniquely beautiful part of Scotland. ScotRail trains link the West Highlands with Glasgow where there are connections with trains to the rest of Britain. There is also an overnight Caledonian Sleeperlinking Fort William and intermediate West Highland stations with London. 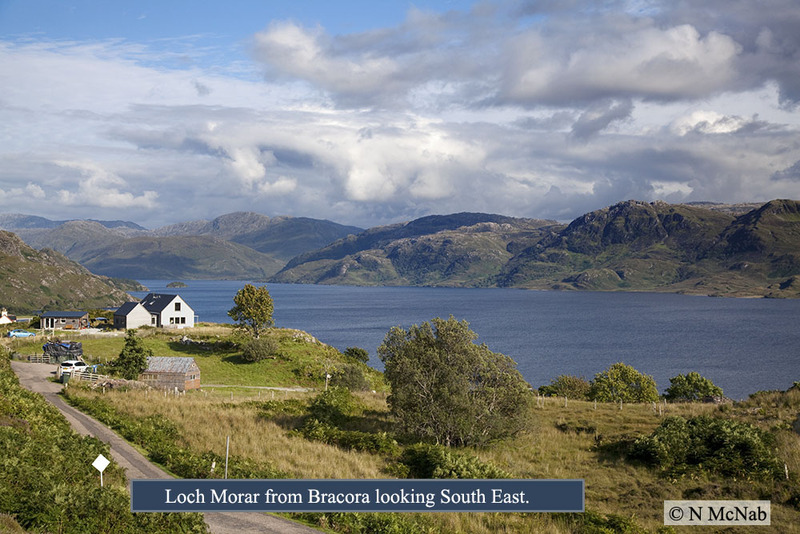 This website gives an introduction to the line, with pictures of the spectacular scenery brought to you by Norman McNab, and others as attributed. All pictures are copyright of the authors and must not be copied without permission. Click here for more photographic information and permissions. 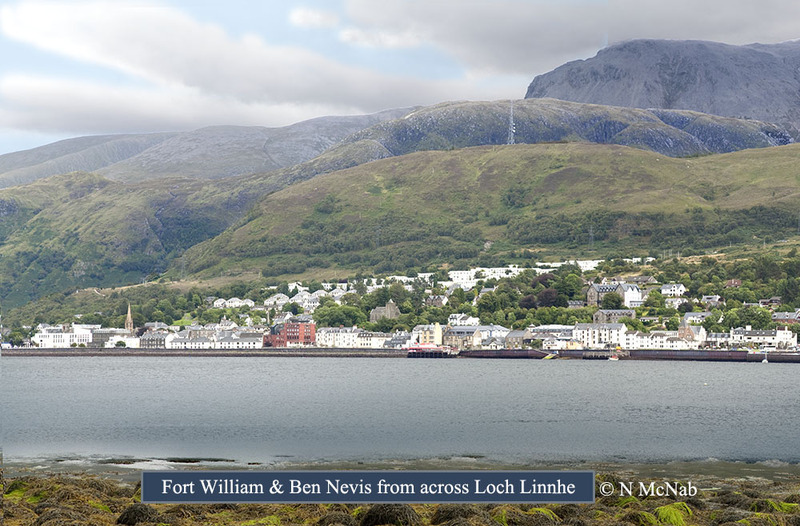 To Learn about the West Highland Lines, which take travellers from Glasgow, in Scotland’s Industrial and Commercial Heart Land, to Oban, the ‘Gateway to the Inner Hebrides’, Fort William, Britain’s ‘Outdoor Capital’ and Mallaig in the far west, gateway to Skye and ‘The Small Isles’, use the navigation bar and click The Line. This will take you to an interactive map of the Lines and detailed information about each of the 31 Stations the West Highland Lines pass through. Each Station location includes many pictures describing the scenery and includes associated information on History and Engineering. The Society’s last AGM was held in Oban on Friday 11th May at The Great Western Hotel. Guest Speakers were: Alex Hynes, ScotRail Alliance MD and David Simpson, Caledonian Sleepers Production Director. A report on the proceedings can be viewed here. 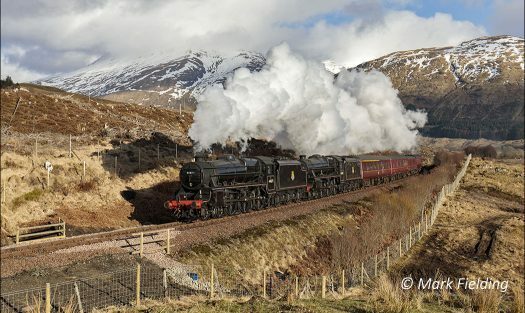 Black Fives, 44871 & 45417, climb through Strath Fillan, between Crianlarich and Tyndrum, with the Jacobite ECS. This Site includes Information on the History, Politics and Engineering features of the West Highland Lines, authored by railway historian, Dr John McGregor and railway author, Gordon Webster. Visitors should note that this is a developing feature of the site and information on these aspects is always being reviewed and added to. 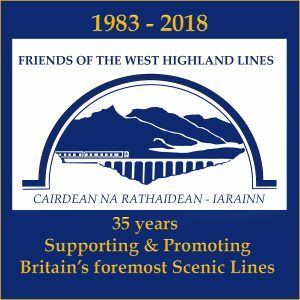 This year of 2018 The Friends of the West Highland Lines Society celebrate 35 years of active and successful promotion of the lines and many positive achievements. However the Society believes passionately that there is much more to be done to improve the experience of travelling on the West Highland Lines (and Scotland’s other scenic railways). For a brief history of the Society and an outline of some of our successes click here. The last few years have been among our Society’s most successful, and by signing up as a member of ‘The Friends’, you can be part of our continued success (click here to download a membership form). We work to ensure that the opinions of visiting and regular users of the Lines are represented to those who operate the railway, Transport Scotland and the relevant Scottish Government Ministers. For example the Society provided persuasive evidence in support of an improved service to Oban which resulted in the frequency of the train service to Oban being doubled. We have also been successful in enlisting the support of The Loch Lomond & Trossachs National Park, Highland Regional Council and others in procuring funds and necessary assistance from Network Rail to recover many iconic views on the lines previously obscured by vegetation. 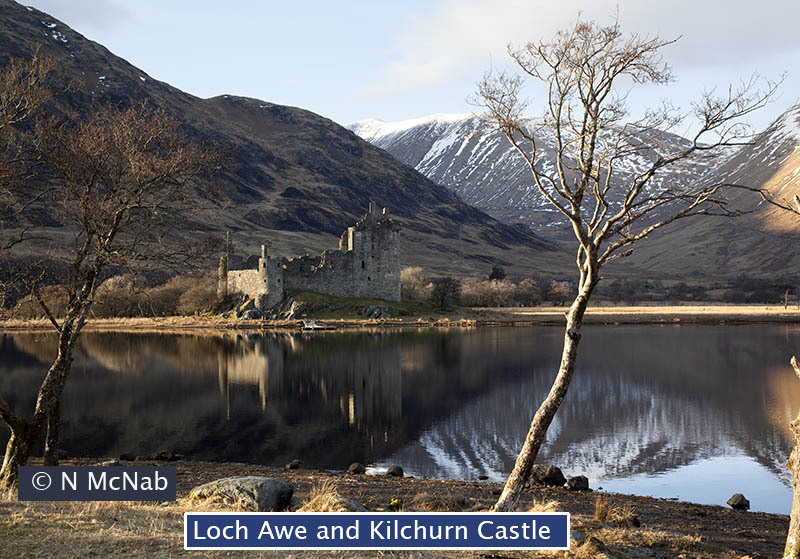 Views recovered include sites on Loch Lomond, Loch Long, Loch Awe, above Oban and the world famous Glenfinnan Viaduct. Our Society spearheaded the first West Highland Line tree clearance projects back in 2009 and the restoration of these beautifully scenic views played a big part in the direction of ScotRail’s new ‘Great Scenic Rail Journeys of Scotland‘ branding Exciting times are ahead, as the ScotRail/Network Rail Alliance have picked up the project, to finance and coordinate future clearances along the Glasgow-Oban/Fort William/Mallaig routes. Vegetation removal is also recommended in the Scottish Ministers’ High Level Output Statement (HLOS) recently published for rail travel. Details of past lineside clearances at each individual location with photographs can be viewed in the NEWS Another part of ‘Scenic Trains’ will be the introduction of refurbished Diesel Multiple Units, to further enhance the travel experience for passengers on ScotRail services. Our Society has advised ScotRail of what we see as essential requirements for WHL trains; comfortable seating, draught-free windows and adequate catering for long journeys. Maintaining plenty bicycle space is also a must and bike hire at intermediate stations would be welcome. 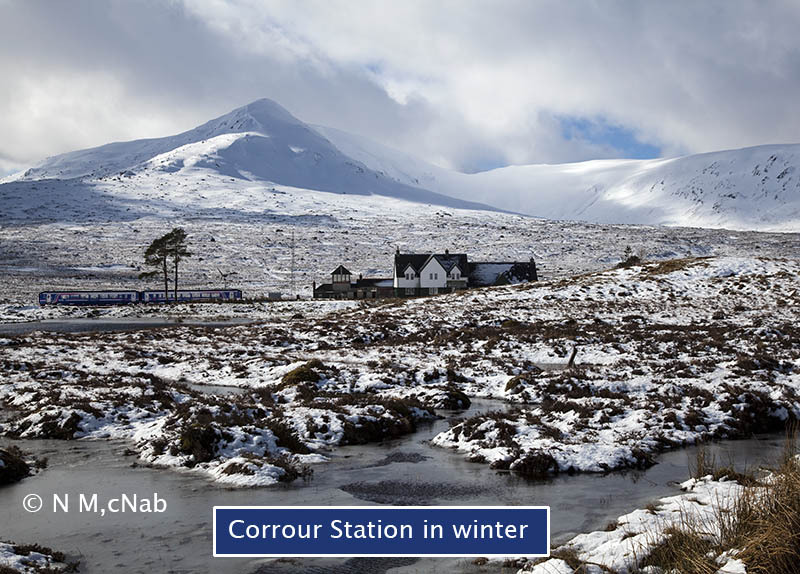 The West Highland railway is a tourist paradise for all seasons and a lifeline for the local community. It is also a vital freight artery, with a thrice-weekly train of bulk alumina to Fort William which loads up to 24 wagons. Rail freight is far more environmentally friendly than road haulage, being ideal for such lengthy bulk loads through the numerous gaps in the timetable. Lorries add extra carbon emmisions, congestion and further wear and tear to the already-congested A82/A85 roads. Friends of the West Highland Lines encourage more rail freight – the greener transport alternative. A set of four souvenir colour postcards featuring some of the photographs on this website is on sale from Glenfinnan Station Museum. Click on the logo to access the ScotRail website. Friends of The West Highland Lines hope you find your visit to our site enjoyable and informative. 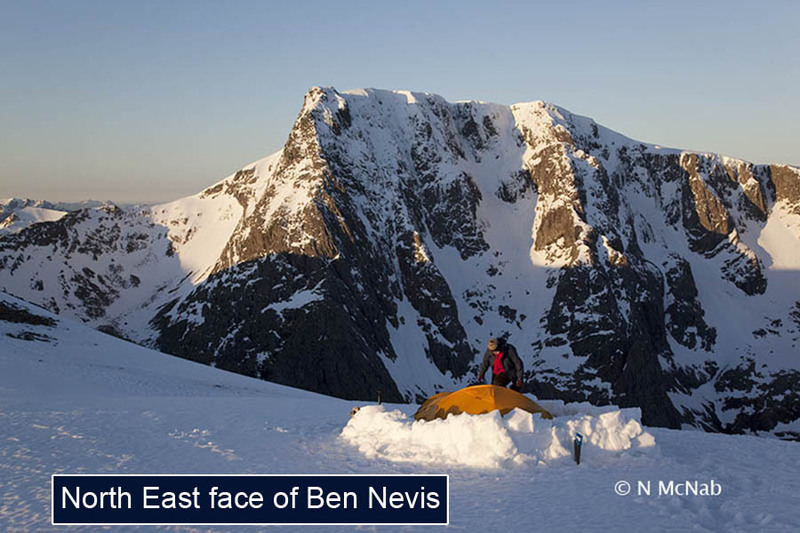 Remember that you can view larger versions of most images by clicking on them and using the built in 'Lightbox' feature. You must however respect the Copyright of all the images. If you wish to copy or print it is mandatory that you request permission and depending on use a cost may be levied.